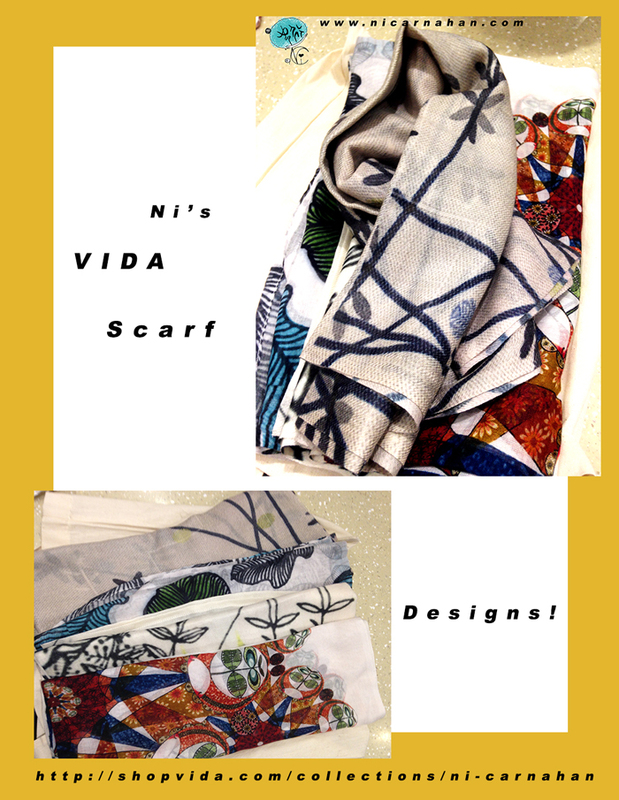 On Ni’s Table Today: Ni’s VIDA Scarf Designs!! ©Ni Carnahan 2016.All Rights Reserved. Ni Carnahan VIDA fashion collection design -4 Scarf designs!!! These has just arrived from my VIDA Voice collection!! Thank my customer~Louisa~ for ordering my 4 VIDA scarf designs!! Seeing my own design products and put them in my hand is priceless!! I will continue to design! !